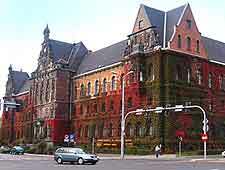 The wealth of museums in Wroclaw allow visitors to find out more about Poland's Silesia region and appreciate not only historical treasures and priceless antiquities, but some exceptional paintings, displayed within a number of popular art galleries, such as the Awangarda Art Gallery and also the Museum of Burgher Art. A good place to begin a tour of the city's museums and art galleries is at the National Museum (Muzeum Narodowe) on the Plac Powstanców, where after several hours of exploration you can head to the top-floor cafe for some excellent city views and a well deserved rest. Worth noting, many of these venues offer free admission for one day each week. 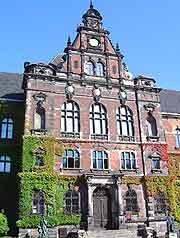 The Muzeum Narodowe is the city's popular National Museum and contains countless valuable examples of Polish fine art. With a large and permanent collection of paintings and a sky-lit atrium with many appealing modern sculptures, there is plenty to enjoy here. The Wroclaw National Museum is also home to an impressive Silesian art collection, where many medieval works of art are displayed, including both stone and wooden sculptures. The Museum of Burgher Art is worthy of a visit for its magnificent architecture alone, both inside and out. Particularly impressive is the cavernous Knights' Hall (Sala Rycerska), which resides on the first floor and features period decor from as far back as the 15th century. The adjacent Princes' Room (Sala Ksiazeca) is also a rather magnificent room and started its life as a chapel. 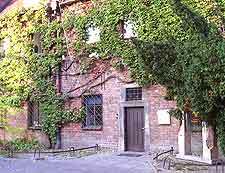 Exhibits include many gold and silver treasures, artefacts from various eras of Wroclaw's long history, and a number of important art works, although they almost feel secondary to the beautiful surroundings. Set within an especially palatial and historical building, the Awangarda Art Gallery always has something new and fresh to see, being filled with regular visiting exhibitions of modern art works and ceramics. The displays are housed within two adjoining annexes, while the gallery's lively cafe is a good place to round off your visit. Enjoying one of the most memorable settings for any museums in Wroclaw, the Museum of Architecture is to be found within a former monastery and Bernardine church and contains many extremely old stone sculptures and stained-glass windows. A particular highlight is the ancient Romanesque-style tympanum with elaborate carvings and dating from the middle of the 12th century. Also worth looking out for is the Jewish tombstone, which is actually the oldest of its kind in the whole of Poland.